Chaka Khan is one of music's biggest icons, but icons recognize other icons and during a recent interview with Questlove from The Roots, Khan dished on her love for Aretha Franklin. "When people come and talk and tell me 'You're the queen,' I say, "Oh, no, no. I'm the lady in waiting,'" Khan said while discussing her relationship with Franklin. "As long as Aretha is alive she's the queen." Franklin has become somewhat known as the Queen of Shade, but Chaka admitted that she and the soul singer have the kind of relationship where "she loves me and I love her." 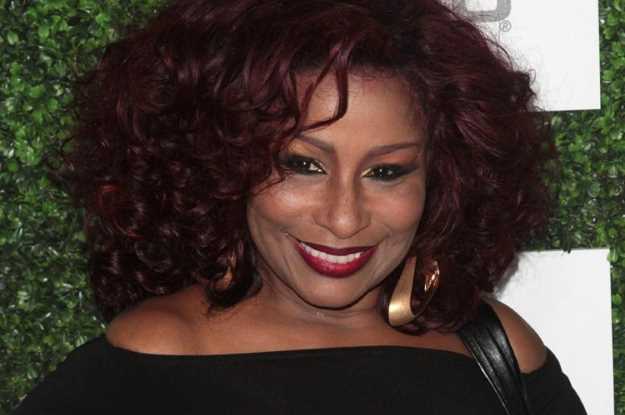 Chaka Khan's recent conversation explored every aspect of her long-running career including some of the darker moments. While discussing her time in the band Rufus, she noted that the men in the band were "really like my big brothers and fathers," but she'd often have to take the good with the bad. "They would keep me messed up" she said. "Then they would wind me up to go on stage. And then afterwards I'd go back to my hotel room. Each one of them, I don't know if they got together and said you go first, you go second, you go third, each one would come to my room, do a walkthrough, make sure nobody was there. And then they'd make sure I had my stuff and they left. I used to sneak out sometimes in some of the weirdest, deepest, darkest, places, railroads tracks, and stuff just to get out." Rufus lasted from 1970-1983 under many names, launching Chaka Khan's career and giving the singer the momentum needed to go solo. As you can see in the video below, Chaka sang Aretha Franklin's "Respect" during a tribute which the Queen Of Funk honored the Queen Of Soul!